I’ve spent years collecting iPhone tips. Here are 15 iPhone hints you’ll probably use every day. I’ve spent years collecting iPhone tips. Here are 15 iPhone hints you’ll probably use every day. None of them are particularly hard to find, but all of them make a difference to how you use your Apple smartphone. This well-known tip means your flashlight will flash when you receive a call. Enable this in Settings>General>Accessibility and toggle LED Flash for Alerts to on (green). Taking a video? Turn your iPhone into landscape mode before you begin filming. Not only will you end up with clips that look better on your phone, but when you play them back later using Apple TV, Mac, or iPad, they’ll look better there, too, without that letter box effect. Want to get rid of that effect on clips you’ve already created? I got you covered. Siri can do so much. Among its many talents, it will launch any app you have installed on your iPhone; just ask it to “Open [app name].” You can also ask it to open Settings on your behalf. (Here are 21 more ways Siri helps you stay productive). Want to call someone on speakerphone? 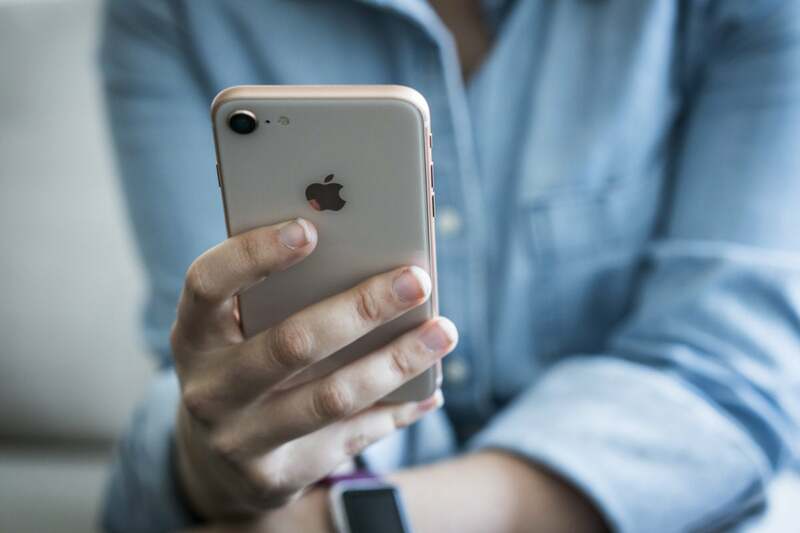 Just ask Siri to dial the number thusly: “Siri, call [name of an active contact from your contacts book] on speakerphone.” Get more iPhone call secrets here. Enable Reachability in Settings>General>Accessibility and in the future you can make the top part of the screen lower itself to within reach of your thumb at the bottom of the display just by double-tapping the Home button/indicator, or return it to the top of the screen by double tapping once again. iPhone X users will like that they can also access Control Center by swiping up from the lower right of the display in this mode. When you receive a call and can’t speak at the time, you may just ignore the ring. But if you’re smart, you’ll use the indicators that appear on the incoming call screen. There you’ll see the name of the contact and a pair of icons. If you tap Message you can choose a text message to send to the caller explaining why you can’t pick up, or tap Remind Me to set a Reminder to call them back. When you have only a few moments to charge up your iPhone — you might be about to set off for a meeting — your device will recharge a whole lot faster if you switch it to AirPlane Mode before you connect it to power. Here’s more tips for busy people. That clicking sound the keyboard makes? It’s annoying. Turn it off in Settings>Sounds>Keyboard Clicks. Everyone near you will thank me for you doing this. Swipe your finger left or right in the input field to delete the last typed number. Do you need to collect receipts for your expenses claim? Use Notes. Create a new note called Expenses Claims, tap the Plus button at the bottom of the note, then tap Scan Document and scan the receipt using your camera. You can then edit the results. You can double tap to zoom in Maps. Even better, keep holding after the second tap when you double tap to zoom in and out of the map just by moving that your finger up and down the screen. On a website using Safari and looking for a specific word? Just type that word in the search bar and scroll down the predictive options the On This Page section. Tap the word to find each instance of it on the page. Want more tips? Here are 50 more.